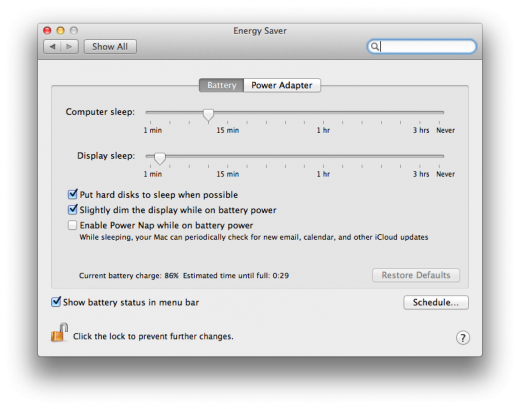 Following the release of a firmware update yesterday that enabled the Power Nap feature on MacBook Air mid-2011 models, Apple has shipped a similar update for Retina MacBook Pros, reports MacRumors. The interwebs had been flooded with questions about where the feature was in the days since the release of Mountain Lion. Now that the firmware update is out, the feature has appeared in the Energy Saver control pane in System Preferences. If you’re using a Retina MacBook Pro, hit up Software Update under your Apple menu to see if it’s available for you.